In daily business practice, one of the most difficult decisions any company leader can make is to change company culture. Despite many company leaders providing a well-thought out strategic plan, the entire collective of company employees ultimately controls company culture. Therefore, to develop a culture of worksite safety, the key is to follow this basic approach: establish effective worksite safety practices, reflect on trending developments to improve worksite safety practices, and develop an annual strategy to revisit worksite safety practices. But, above all of this, make it more than a simple job “priority” – instead, safety needs to be deeply rooted in your company culture. And, this starts with management leading the way. As with many issues related to OSHA, the best practice is to develop policies and procedures that normalize worksite safety – that is – make it a fundamental aspect of all operations. 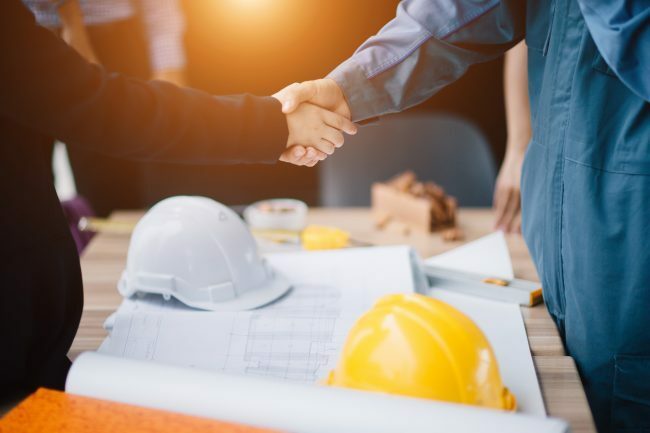 By promoting worksite safety and consistently reinforcing the good decisions of employees, company leadership can implement a successful culture of safety and internal growth that will mitigate the potential for costly injuries and, by extension, OSHA violations. Goldberg Segalla’s team of OSHA professionals recommend the following strategies for creating a culture of worksite safety at your company. Live the Corporate Mission: Regardless of which employees your safety rules are intended to protect, all employees should abide by the same policies and procedures. If your company requires the usage of safety glasses, hard hats, or earplugs, any employee, regardless of whether he or she typically enters a heightened safety zone, should abide by the same rules. For example, if a company supervisor needs to enter the plant floor to speak with an employee (for any reason – and no matter how short), he or she should not enter the area without using the required PPE – consistent with company policy. Active On-Site Education: When an employee is violating a worksite safety policy or acting in a manner that is unsafe for the worksite, take a moment to proactively correct the error. Every moment in the worksite is an opportunity to develop relationships and reinforce worksite culture. Further, a positive corrective interaction may serve as a demonstration for other employees. Where employees may be unsure of how to correctly follow worksite safety policies and procedures, on-site demonstrations serve as an opportunity to educate on effective safety strategies beyond written documents. Simplify Policies and Procedures: Often, the best practice is to simplify a complex process to mitigate the potential for hazards. This goal can be accomplished in numerous ways, including the use of instructive signs and labels to reinforce the expected behavior of employees in a succinct manner and expedite tasks by reducing the number of steps required to efficiently complete a process. Reinforce Cleanliness: The most logical way to reinforce a culture of worksite safety is to emphasize cleanliness on the worksite. Remind employees to return tools to their proper storage locations when not in use, clean up spilled materials, and to proactively evaluate the surrounding area for potential hazards. Small steps taken to secure the worksite will prevent injuries and damages in the long run. Company leaders have an obligation to implement proper safety measures, but need the support of the entire worksite to ensure that the measures are being implemented. Following these steps will help create a culture of safety, where employees will soon recognize previously unknown hazards and either bring them to the attention of supervisors or take the initiative to remedy hazards for the benefit of colleagues and, ultimately, the entire company. While an effective safety program involves many critical elements, establishing a “culture” of safety – with management setting the tone and leading by example – is of paramount importance.